This is the Quest Astra III Quick Kit Starter Set. 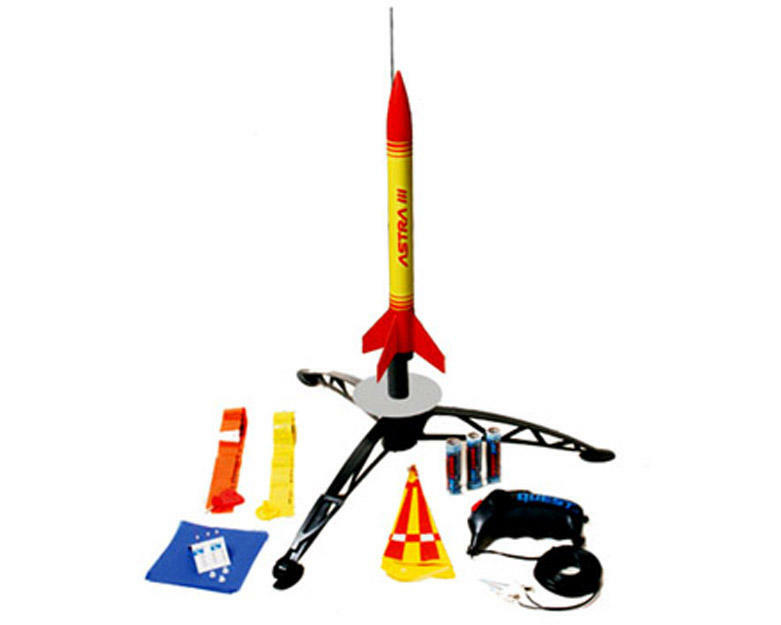 The Astra III Quick Kit is the perfect way to get started in model rocketry! 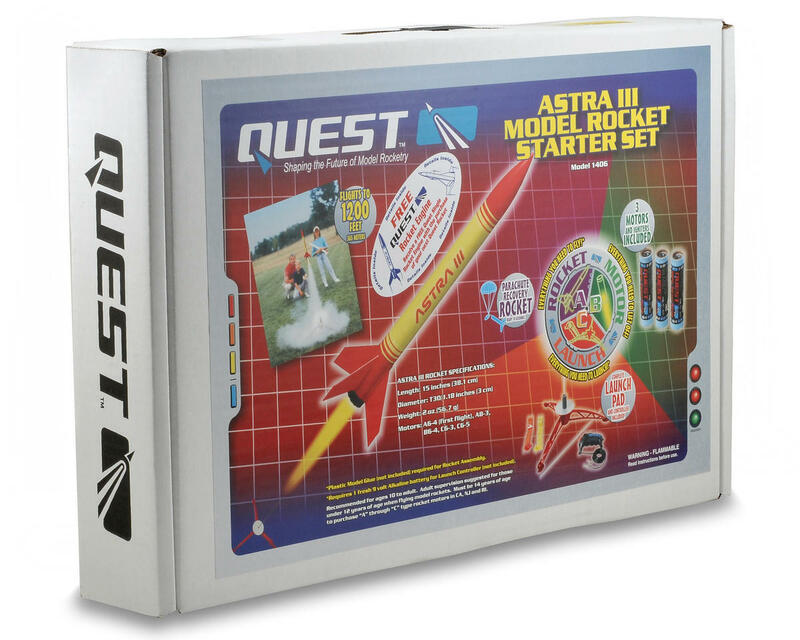 This starter set combines Quest's rugged ASTRA III Quick Kit, 3 A6-4 model rocket engines and a complete launch system. Everything you need for a day of flying model rockets! The launch equipment can be used to continue your adventure and fly the entire fleet of Quest rockets, and the included range box comes in handy when traveling to and from the field. Includes everything you need for a day of flying model rockets! Gave this kit to my son for his birthday. The kit was really easy to put together. Took us about 30 minutes, and that was with us taking our time and making sure it was done right. Simple to follow launch instructions, and perfect launch, and plenty of safety measures. We also appreciated that the motors came with a cross section diagram of what was inside the cartridge, helped with the educational value of this toy. Would highly recommend this kit to anyone who wants to get an easy beginner kit that requires some assembly. I personally would have liked maybe a little more challenge to put together, but since it was my son's first kit it was perfect.